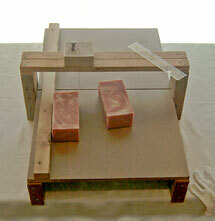 Purchasing or making a soap cutter will be on your 'to do' list not long after you've started making handmade soaps. When you first start making your soaps, it isn't really important since at this point you are focussing on learning how to make soap and on perfecting your formula. A good, sharp knife will get you by until it's time to start working on your presentation. 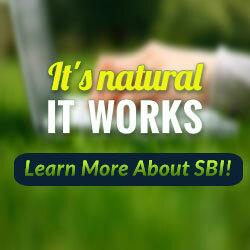 Once you've reached that point, and are ready to buy, you will find a multitude of options available. A popular and inexpensive choice is to purchase a simple mitre box and use a pastry scraper or cheese cutter as the cutting blade. Be sure that the mitre box you purchase is wide enough to accommodate your block of soap. Also be aware that you may have to widen the 90° cutting guide/slot in order to fit a crinkle cut blade. You could also try using a wire cutting cheese slicing board. I've watched this tool used in videos and it seems to hold up quite well. You do have hold the soap steady while cutting it but you could always add a guide to one side of the cutting board. The only real draw backs with these options is that they are limited in the types of cuts they can make. If you plan on using a slab mould, you will not be able to make all of the cuts using the mitre box or cheese slicing board. In that case, investing in dividers for the slab mould might be a good idea. Another option is to make a cutter like the one pictured. Quite the beauty isn't she? My cutter was handmade by my Dad using the adjustable-wire bar cutter pattern in Catherine Failor's book, "Transparent Soapmaking". I absolutely adore it and have packed that thing around with me since 1998. It is a treasure I could not replace. It is so incredibly versatile too! I can cut slabs, logs, strips, chunks...you name it. If your not lucky enough to have someone like my Dad around, you can purchase soap loaf cutters on-line from soap making suppliers like Willow Way who manufacture all sorts of industrial soap making equipment.